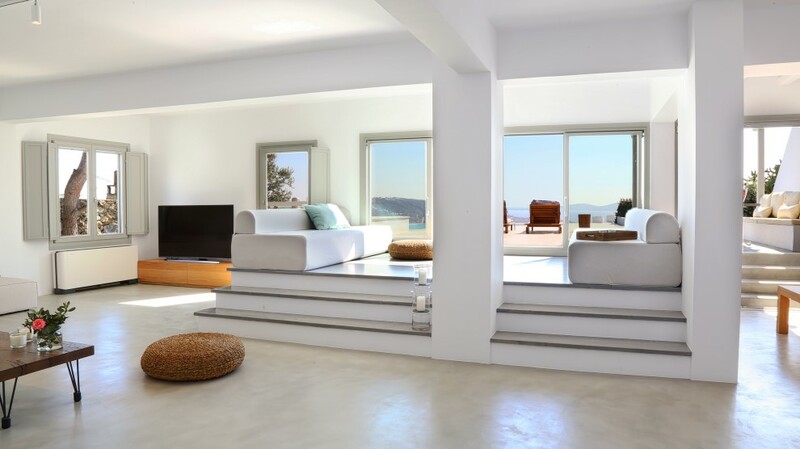 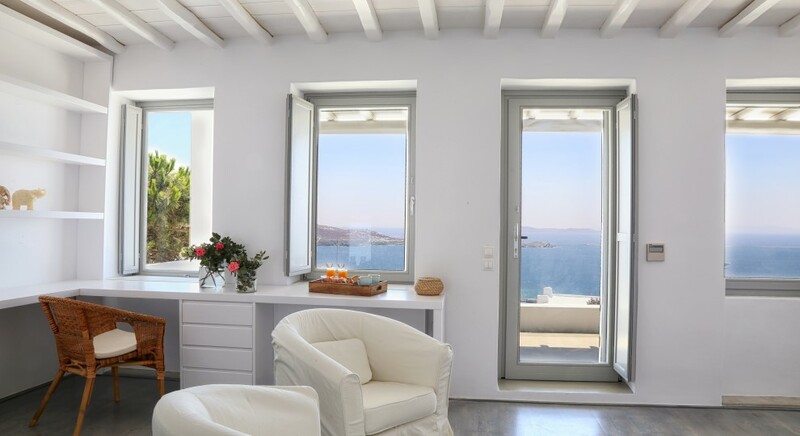 The lovely Villa Siren is situated in the superb area of Evaggelistraki, just above the picturesque Mykonos town. 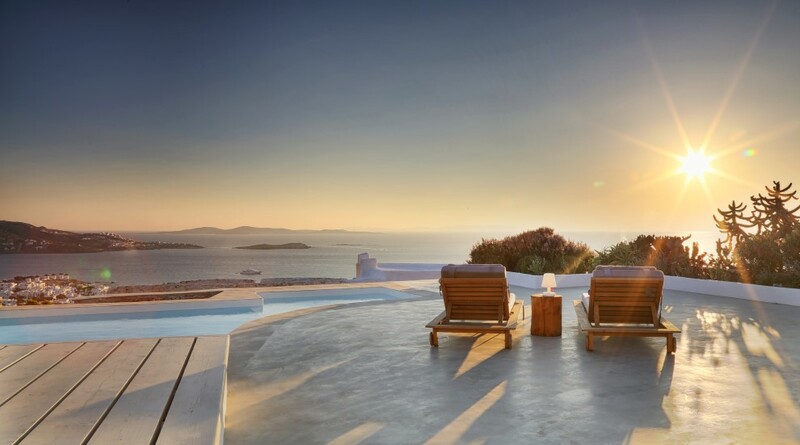 This extraordinary villa is in the perfect location, for outings in Chora and daily visits in the nearby emerald-green water beaches that will make your holidays a heavenly journey. 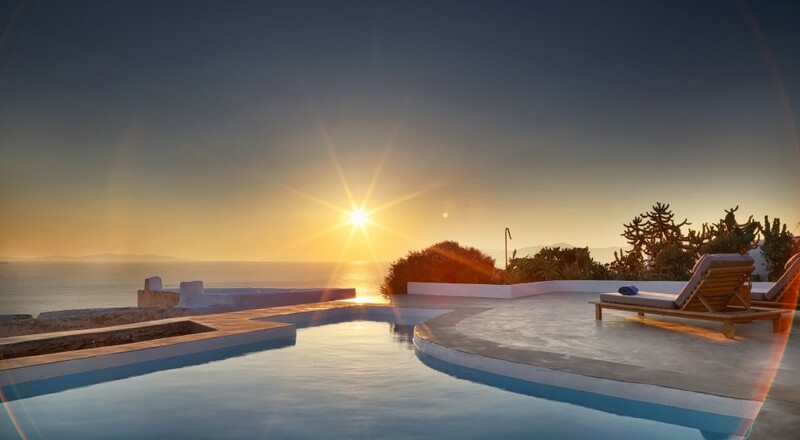 This absolutely stunning Mykonos Villa Siren was designed to provide a modern experience with the most distinctive and playful touches of Cycladic architecture. 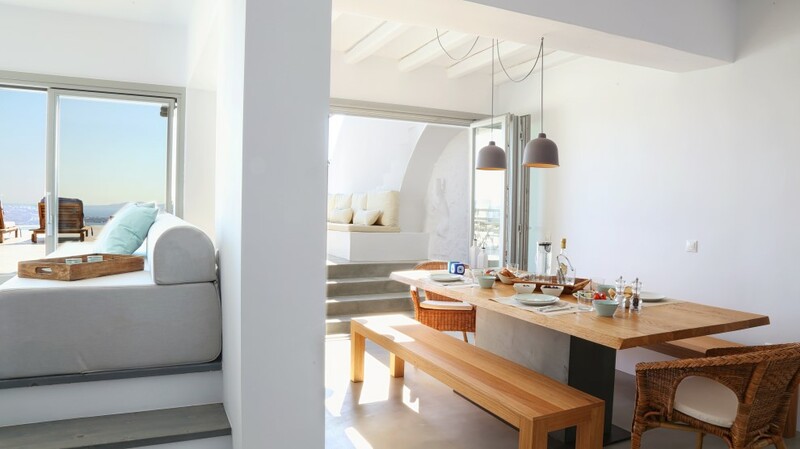 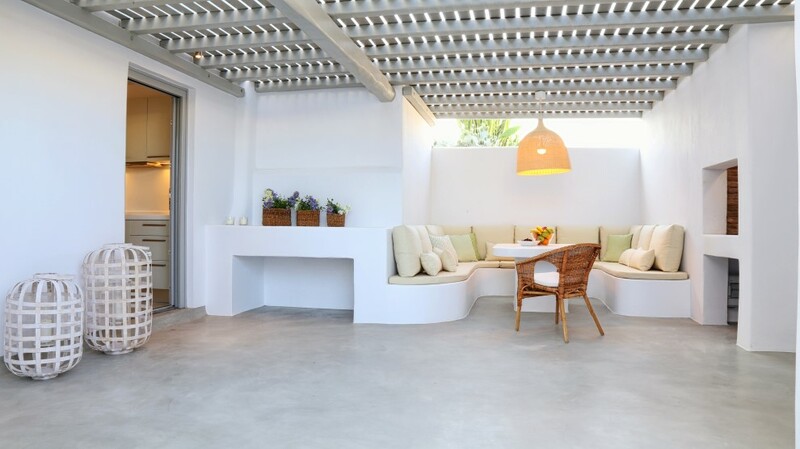 The exterior and interior of the villa are exclusively stylish and the Mykonos lifestyle influences are apparent. 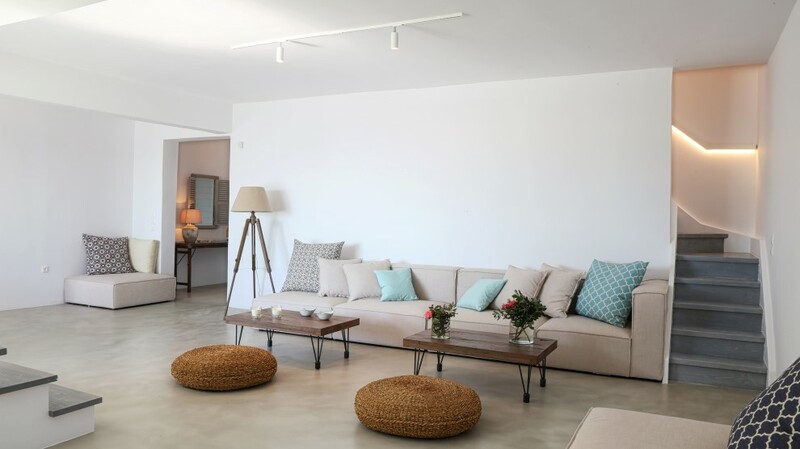 The indoor spaces comprise of beautiful and cozy areas for relaxation, with high aesthetic furniture and colors chosen to provide unique tranquility to the guests. 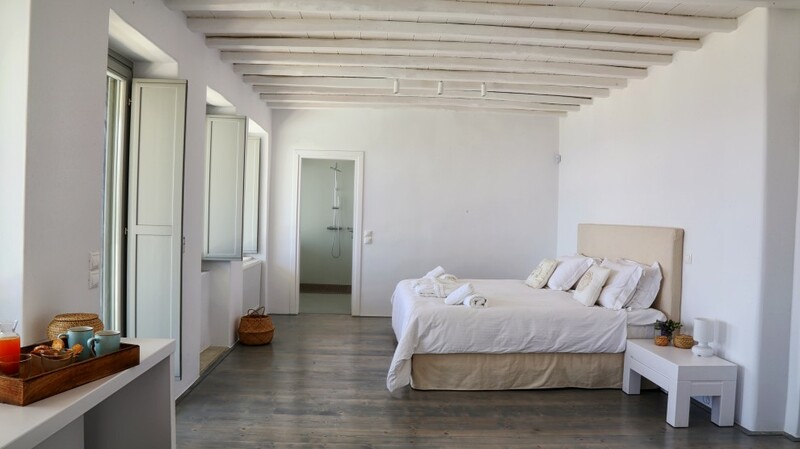 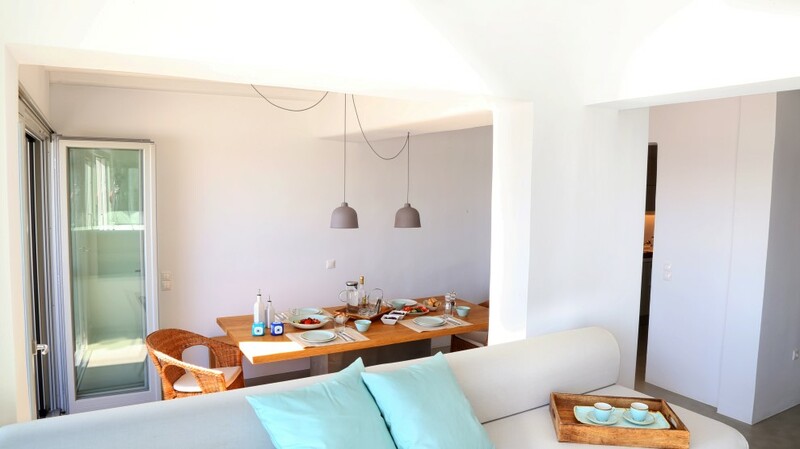 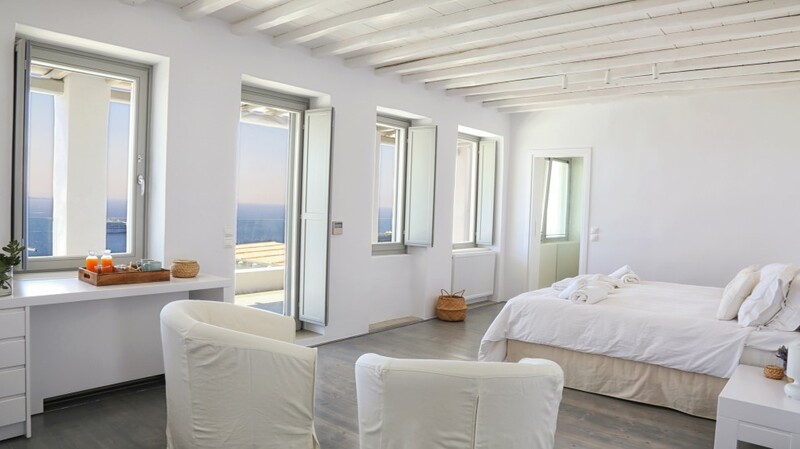 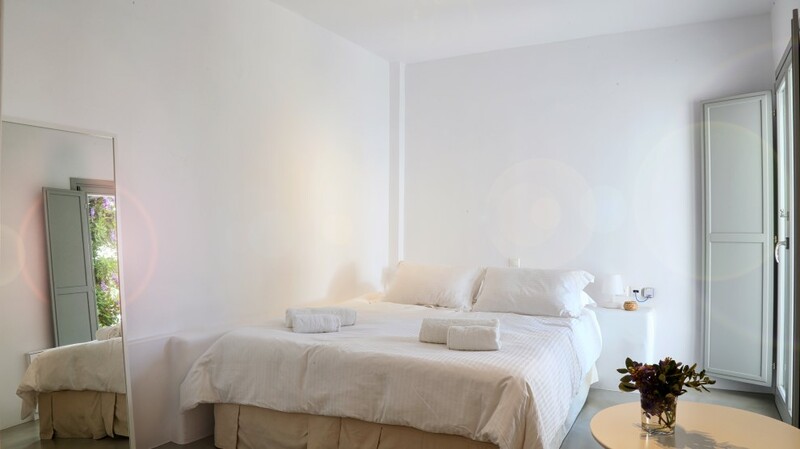 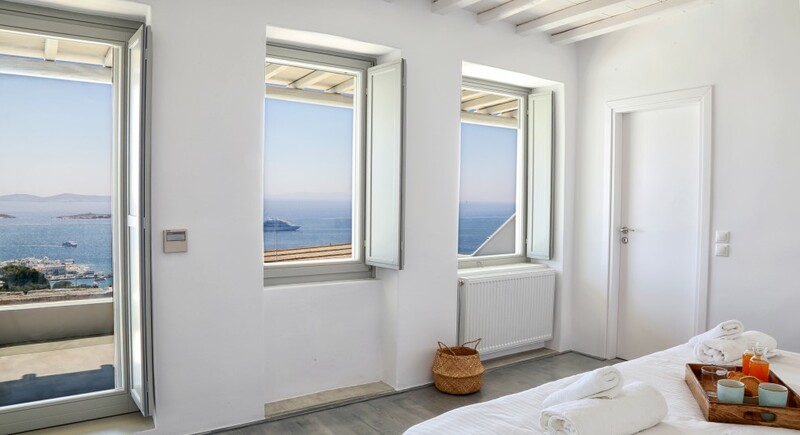 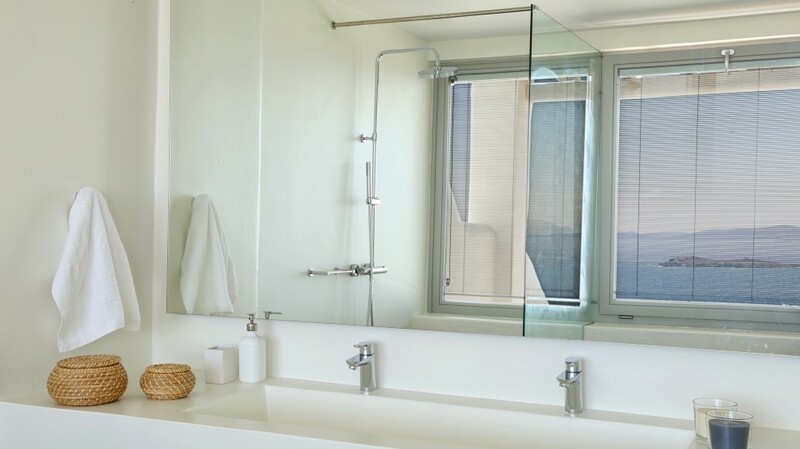 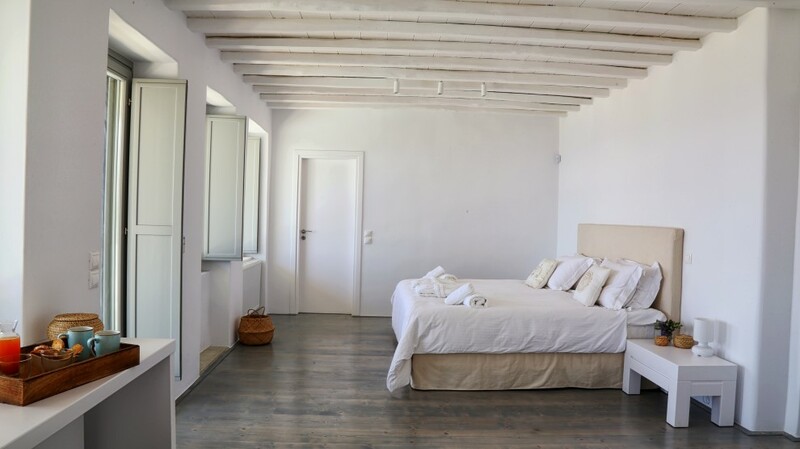 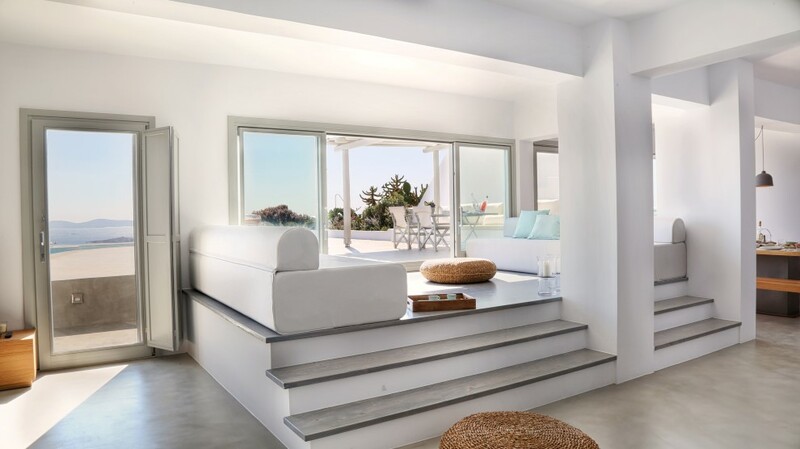 The bedrooms are shaped with the eminent Mykonos white and the lovely blue from the views of the Aegean. 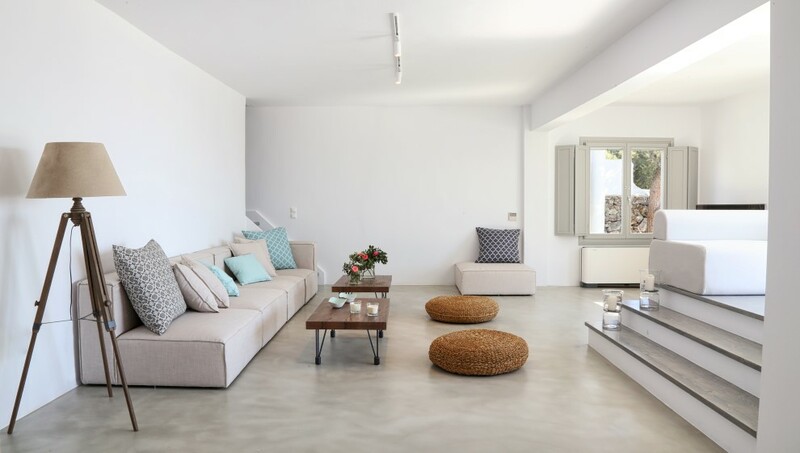 The amazing living room and dining spaces will host your gatherings, meals and joyful summer moments inside your private villa. 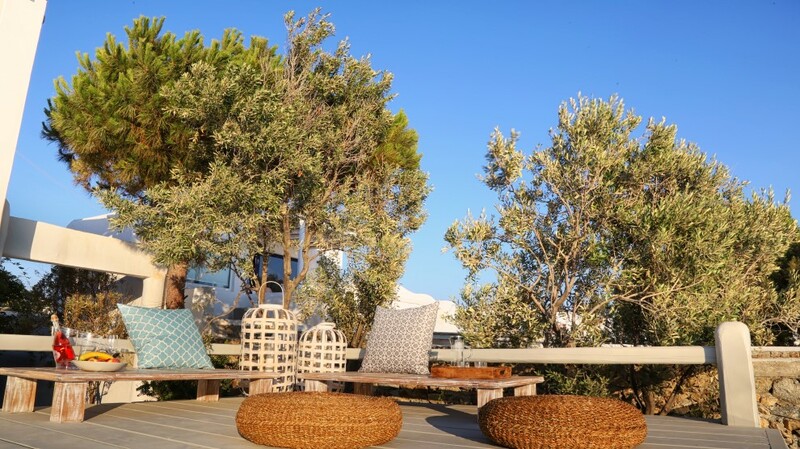 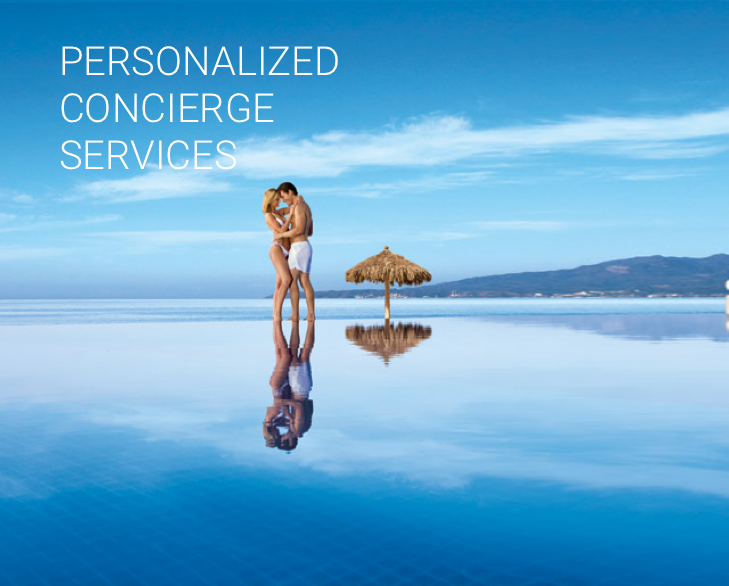 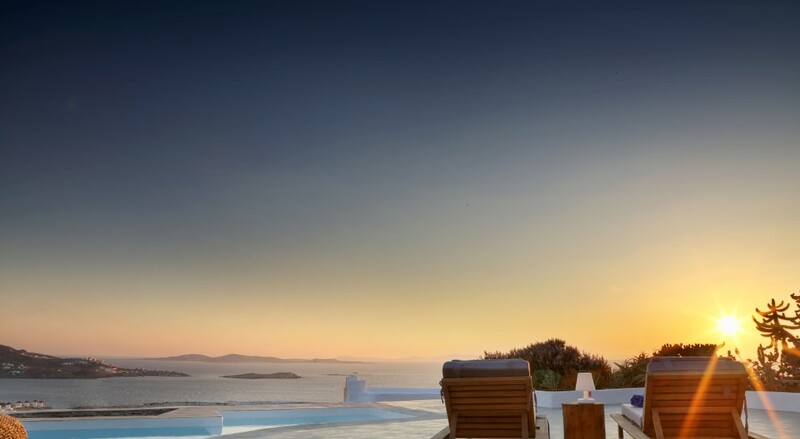 The outdoor spaces offer the most spectacular panoramic views over the Aegean and the island. 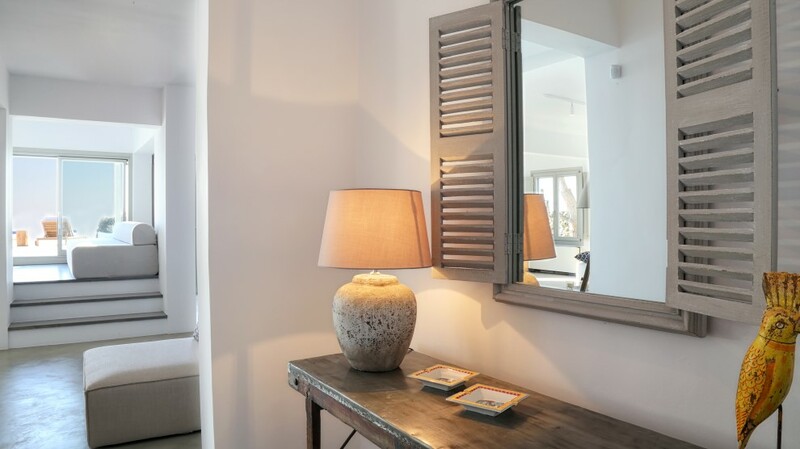 Designed and furnished to make your stay even more comfortable and unique, every detail of the space is very stylish and well combined with the environment around the villa. 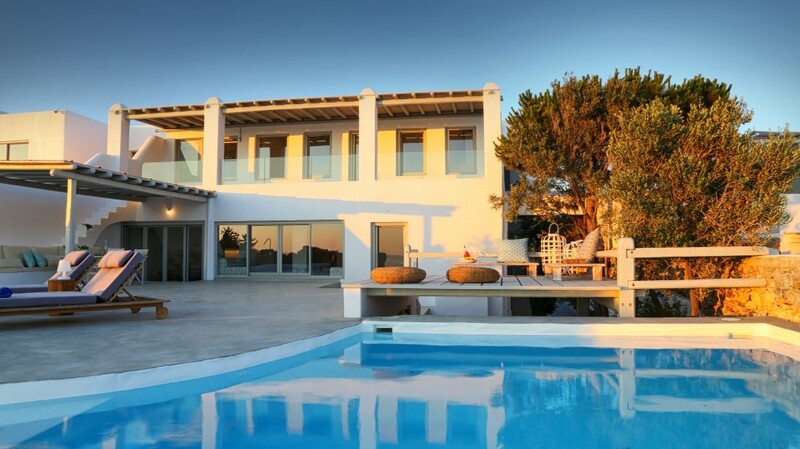 The pool area is perfect for a day under the sunny sky and refreshing moments in the private swimming pool. 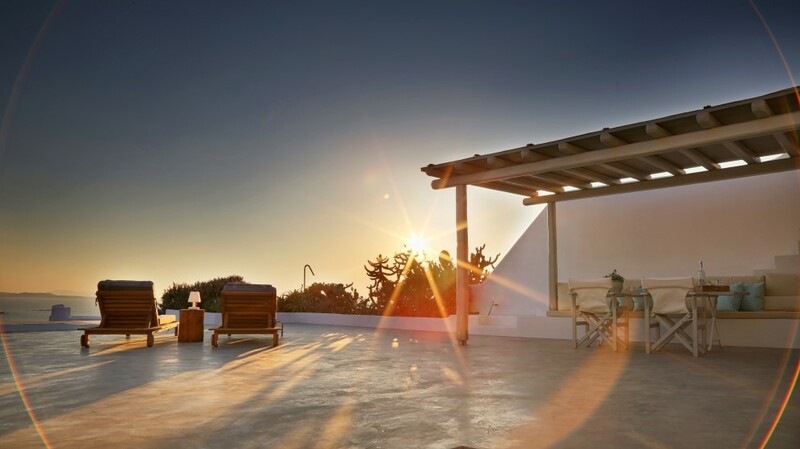 While, the most magical moment of the day is the stunning sunset view the villa offer, which will make you want to stay there forever. 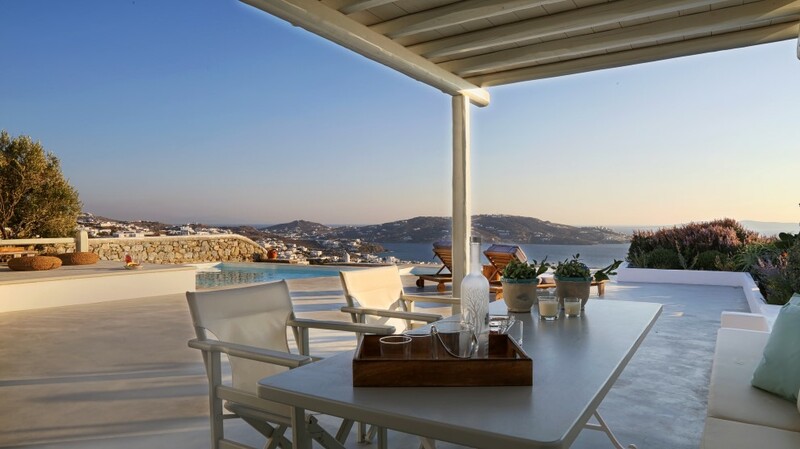 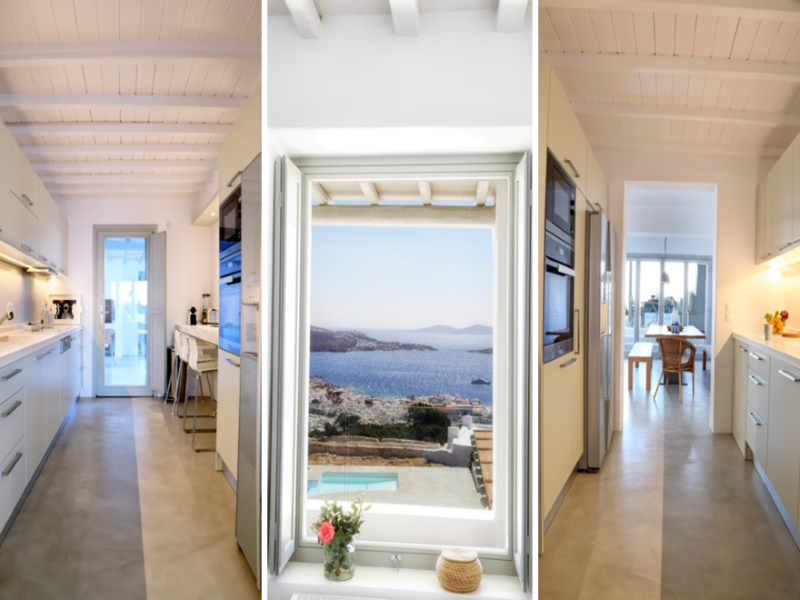 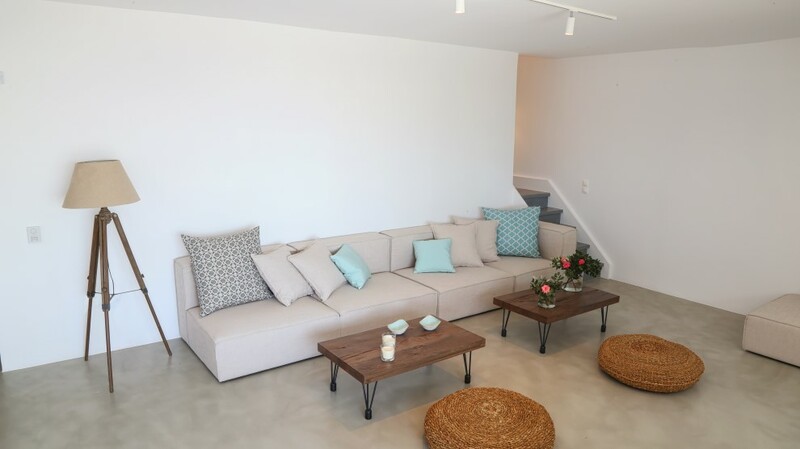 Mykonos luxury Villa Siren is ideal for people that want to enjoy their vacation in private scenery, relaxing with their family or friends. 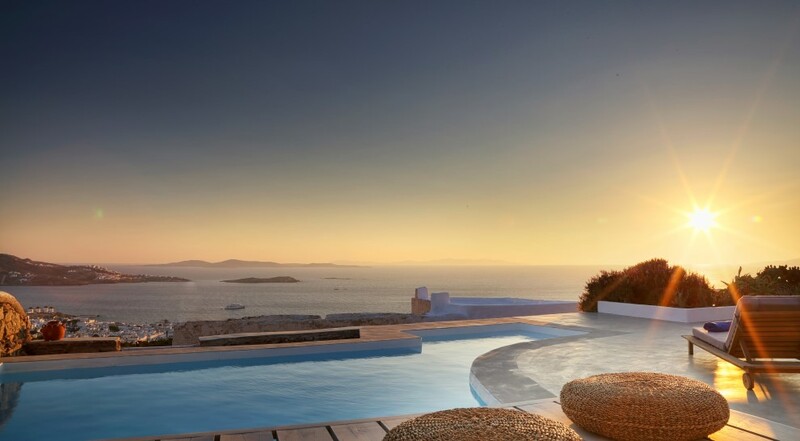 The magnificent villa is just what the guests need to take pleasure in their absolute summer Mykonos retreat.